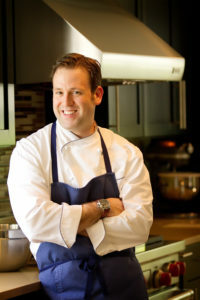 Larry Leibowitz‘s industry experience spans restaurants, hotel, social and corporate catering in New York, New Jersey, Virginia and Massachusetts. He is the co-owner and operator of two restaurants in Salem, Massachusetts; Bambolina and Kokeshi. As a life-long learner, he relishes exploring new cooking technologies and rediscovering old techniques while witnessing how food trends affect how people prepare foods and what consumers seek when dining out. Continuing to blend the lines between profession and free time, Larry travels to all corners of the United States and to Europe, Spain, China, Mexico and South America on the quest to experience the true, authentic cuisine of a particular area. These experiences strengthen Larry’s resolve to continue to emphasize the creative use of local, fresh food in recipes and promote the concept of sustainability. Larry holds an A.O.S Culinary Arts degree from the Culinary Institute of America and a B.B.A. from James Madison University. Larry resides on the north shore of Boston with his wife Rachel, daughters Brynn and Layna, and dog Caputo “00”, named after the famed Italian pizza flour.